We’re all set. We could not ask for a better final four. Each of the four has his own significant drive to claim this final major of the year. Allow me to cut to the chase. The secret to making pretty accurate reads on these matches first of all requires that we pay attention to the tennis. Read the body language, how they handle pressure, depth of shots, etc. Beyond that, consider the narrative most likely to be told. Consider the context, the bigger picture, the historical circumstances, etc. Here’s what probably happens in the Semifinals and in the Final: Federer and Stan play a classic, probably going 4 or even 5 sets. It’s physical and highly competitive because, as we know, both are playing very well. Both will wage war for this championship, having to dig deep to get to the Final. Who will concede this match? Stan? Are you kidding? He’s got a giant chip on his shoulder and wants to hurt people. Plus he has the best coach in men’s tennis in his box. He isn’t going anywhere. You think Roger will crumble on this stage? His game is in top form. If you follow my line of reasoning (my blog), I have hinted at the fact that since Cincy his game is resembling the dominant, aggressive approach he used to own men’s tennis for years. His athleticism is predominant along with his incredible ability to shape shots, and move unpredictably into attack. His serve and net efficiency have highlighted this run to a sixth USO. Players have to think and react quickly; his sublimely cerebral tennis is clicking, putting pressure on all areas of the court. That’s full-court tennis, folks. One of the tightest matches he played was vs. Isner and that wasn’t very close. He’s going to give Stan a tennis lesson, be sure. The only problem for Roger is his pupil may simply nod appreciatively at the offer, and return the gesture and slay the dragon (again) and move onto the Final. This one is up for grabs. Would we be shocked if Stan wins in 3 or 4, or if Roger does the same? No, because that’s what can happen. But, back to my point: what is likely to happen is these two are going to beat the crap out of each other in a match that could be historically excellent. The all-Swiss SF should not disappoint. Meanwhile, Djokovic is most likely to handle the defending champ in 4 sets. Djokovic then wins the final, outlasting the lone Swiss who’s survived the dramatic civil war. That’s probably what will happen. Djokovic has had a lot going for him: he’s #1 and having a great year, hoping to pick-up his third major of the year. He’s also had a great draw (I mean, a great draw). The fact that he’s had a few four-setters is a bit surprising, but could be just what his tennis demands: awkwardly reach the final and ascend to form. There’s a very good chance this happens over the next few days. Djokovic, of course, has a lot of work to do. Cilic, to his credit, is defending his title. I liked him vs. Tsonga because A) Tsonga is a cream puff, but also B) Cilic has a big game and confidence on these courts. What was so disturbing about last year was that he and Nishikori BOTH manufactured huge upsets and Nishikori, mind you, is merely a solid 500-level player. 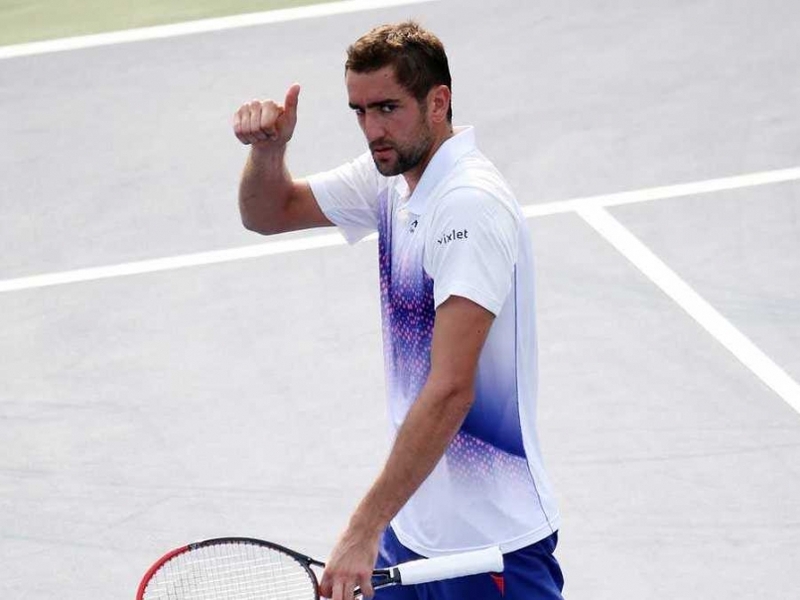 Cilic is dangerous. His serve is huge with the help of his once-massive-serving coach. There’s tennis pedigree in camp Cilic. He should have vanquished Tsonga in 4, failing to capitalize on 3 match points. Is he gassed? I doubt it. He’s only 26 years old, and has this extra day of rest. 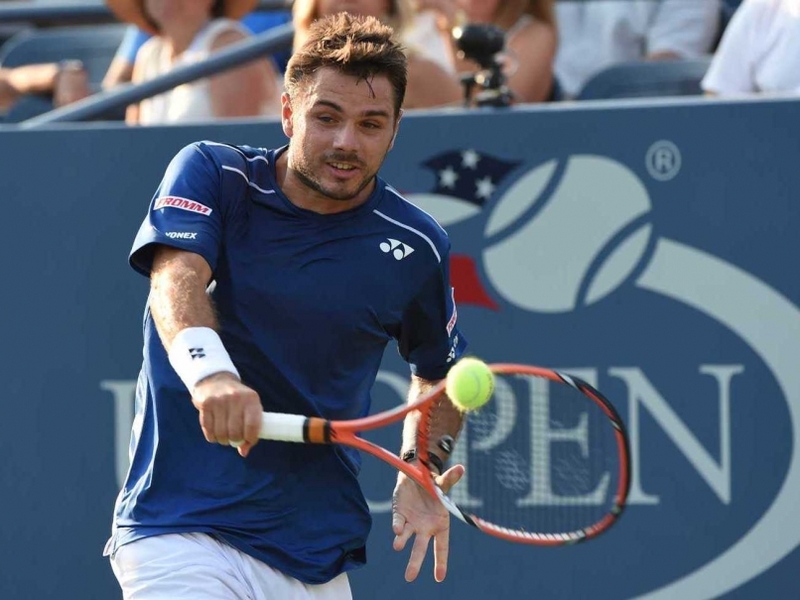 He, no doubt, wants to prove to the tennis world that 2014 was no fluke. Djokovic wants to prove that the USO is in his domain, as well. But the Serb is in trouble if Cilic serves lights out, which his coach was prone to do during his heyday (he recorded 213 aces during his triumphant run at Wimbledon in 2001). Cilic had around 30 vs. Tsonga. These courts could open-up if the defending champ’s serve is on point. 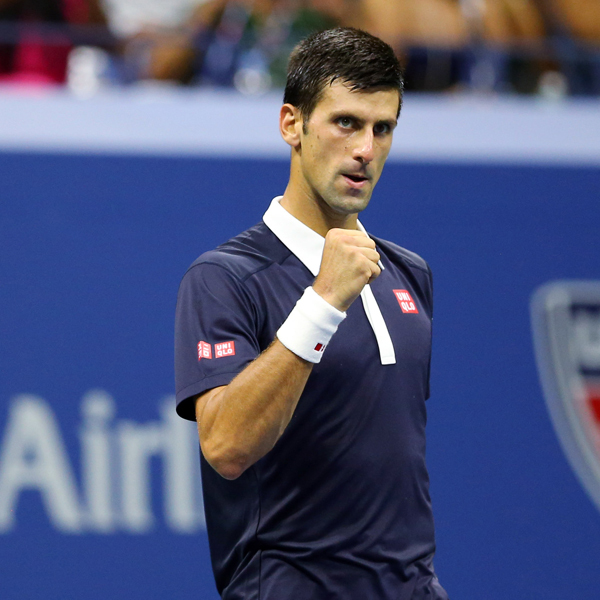 Djokovic is a great returner; he’ll most likely need all of that to keep the Croat at bay. Djokovic is also in trouble if he doesn’t find a consistently dominant form. We’re giving him a pass on this last week (and at Montreal and Cincy) because he usually rises to the occasion when the lights are brightest. His record speaks for itself. No more excuses. He has to perform. And he probably will. But I have been wary watching him play. His energy just doesn’t seem to resonate. Is it the crowd? Something doesn’t quite click for him in NYC. And this past week has been anything but convincing that he is going to dominate his next two opponents. That’s where this story could turn. This major is on Djokovic’s racket. The story should play-out according to that narrative, which I outlined at the outset of this post. But he needs to, again, peak in these next couple of matches. I have made my case for Roger over the last few days and weeks. 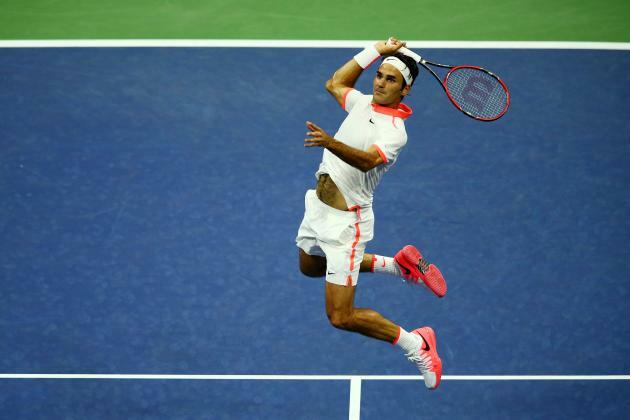 His form is spectacular and given the x-factor of tennis (of any sporting competition), Roger could get through Stan in 3 or 4 and give Djokovic (or Cilic) more of the medicine he’s been prescribing all of his victims. This is a more aggressive Roger on more aggressive courts. They’re not as fast as Cincy, where he schooled the field, but they’re hard courts and he knows how to win here. Stan, likewise, could write his sequel to Rolland Garros. He’s had some drama on and off the court; he seems dangerously fueled by these events and the competition in general; with his game coming into form (flat, heavy, huge), he could run right through his next two opponents. Each player has a ton to play for. A perfect stage, a perfectly complex story to watch unfold in Flushing Meadows. In the end, who do I like? I’m sticking to my gut: Roger wins his sixth. What probably happens? Roger and Stan empty their jugs in the SF and Djokovic registers number 10. If you think adding Murray to this final four would have enhanced the SF competition at all, I would suggest that you get your head checked, or just watch more tennis. Murray is a clown. You have probably seen the video making its way around the interwebs of him cursing maniacally between sets vs. Anderson in the QF. Does anyone wonder why he continues to flounder on that second tier? We have all seen his baseline antics, shouting and gesticulating at himself and/or his box, but this latest evidence of his horrible self-control and lack of confidence (who acts like that?) seals the deal for, I hope, the rest of you. Murray is a buffoon. What a treat to see Mr. Anderson embarrass the overrated Brit. Nambi, this is shaping-up to be very interesting, indeed. Both are fresh, both playing near perfect tennis. Really looking forward to this one.